A stunningly beautiful 1 carat pink topaz center gemstone is featured on this ornately designed paisley 14k white gold ring. The center pink topaz gemstone measures 6mm and is AA rated in quality. The setting height is 8mm and the band measures 2mm wide. 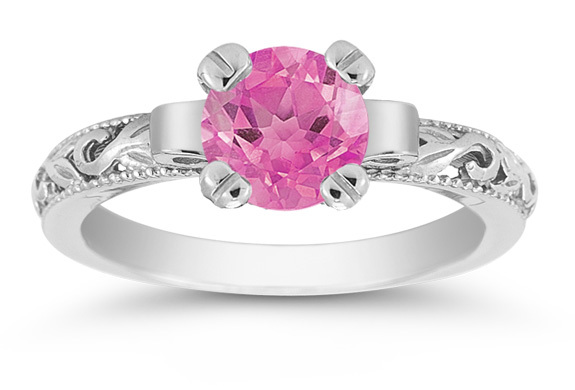 We guarantee our 1 Carat Pink Topaz Paisley Ring in 14K White Gold to be high quality, authentic jewelry, as described above.